The chemical industry in India is an indispensable part of the economy of the country, for it constitutes around 6% of the country's GDP. 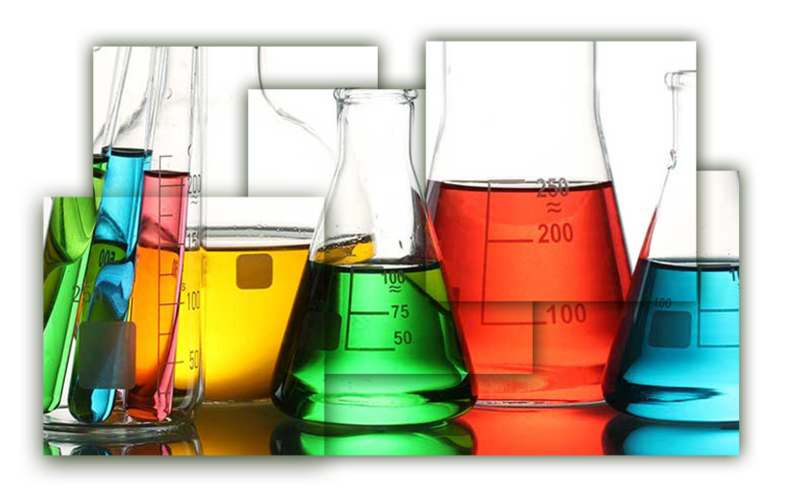 India is the sixth largest producer of chemicals in the world. ​100% Foreign Direct Investment (FDI) is allowed under the automatic route in the chemicals sector, subject to all the applicable regulations and laws. The chemical sector in India has tremendous potential and growth opportunities. Foreign Direct Investment will play a crucial role in bringing in resources such as capital and advanced technology. The free flow of capital will highly favour this sector and will lead to the exploration of its growth potential. In terms of volume, total chemical production in India was around 9,884 MT. The growth of 2.6% was registered from FY15 to FY16. Alkali chemicals had the largest share in Indian chemical industry with around 69% share of the total production. Organic chemicals had a share of around 16% followed by inorganic chemicals commanding a share of around 10 %. The remaining market is catered by dye/dyestuffs and pesticides with a share of 3% and 2% respectively. Production of polymers stood at around 9 mn tons. Polymer demand is expected to grow by 8-10% with healthy growth in industries such as clothing, automobiles, etc. The Indian colorant industry, valued at USD 6.8 bn, exports nearly 75% of its production. 1. March 2018 - Himadri Speciality Chemical Ltd, the largest vertically integrated speciality carbon company of the country with a market capitalization of over USD 1 bn, is planning to invest USD 153 mn to expand its Carbon Black business by setting up new carbon black lines in its existing integrated plant in Mahistikry, West Bengal for producing Specialty Carbon Black. 2. 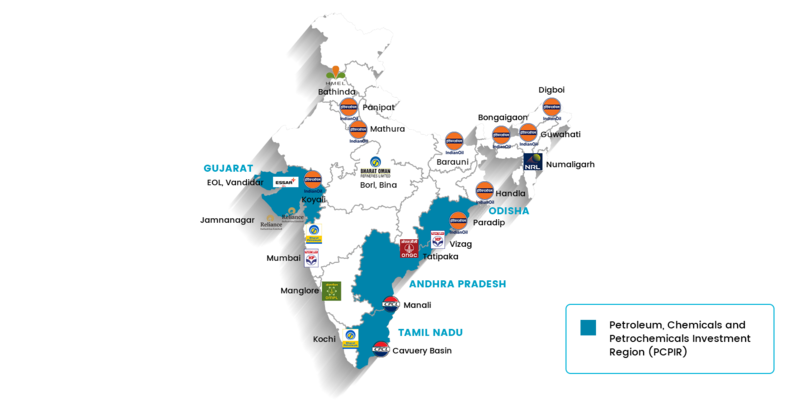 January 2017 - Hindustan Petroleum Corporation Ltd (HPCL), Gail India Limited (GAIL) and Government of Andhra Pradesh, have signed a Memorandum of Understanding (MoU) for setting up a greenfield, standalone petrochemical complex in Andhra Pradesh. The proposed complex, which will come in 2000 acres of GMR’s Kakinada SEZ, is expected to involve an investment of USD 6.1 bn. 3. September 2016 - Sudarshan Chemicals, Pune based pigment and agrochemical maker Sudarshan Chemicals is planning to invest USD 154.6 mn over the next 5 years. The company is aspiring to become the fourth largest company in the world. Its products primarily serve the coatings, plastics, inks and cosmetics markets.